An older picture from a few years ago from a family visit to Islay. 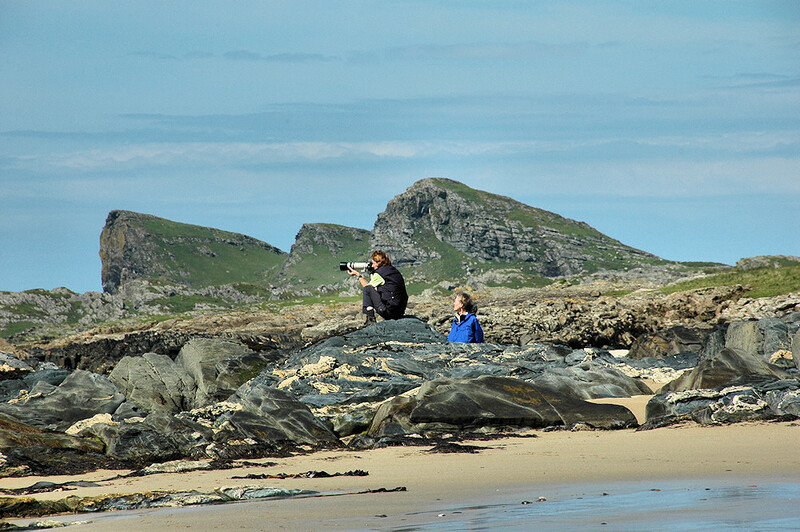 My sister sitting on the rocks in Saligo Bay taking pictures, if memory serves me right of Gannets diving into the sea to catch fish. Behind her our late mother, this visit turned out to be her last. This entry was posted in Beaches, Landscape, Repost, Sunny Weather and tagged Islay, Opera House Rocks / Sleeping Giant, Rhinns of Islay, Saligo Bay by Armin Grewe. Bookmark the permalink.